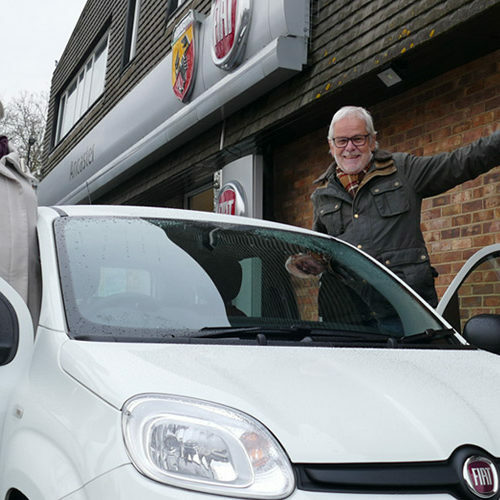 At 6am on Sunday 3 February a team of well-wishers from St Christopher’s welcomed the world record breaking Transatlantic Traffords back to the UK. 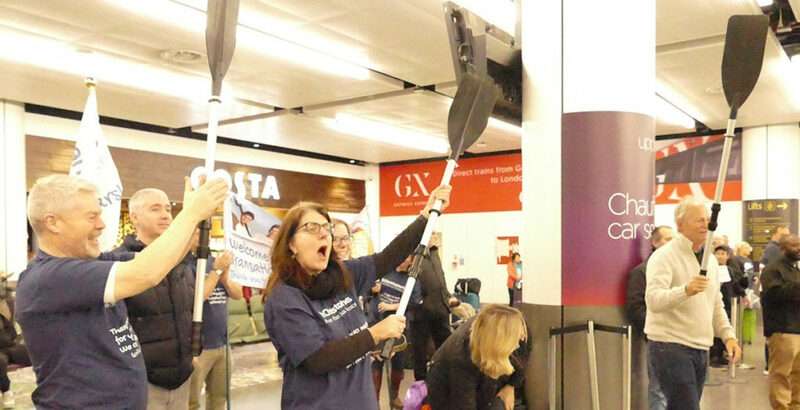 Despite the early start, the team from St Christopher’s were in good voice and cheered as the Traffords came through arrivals. 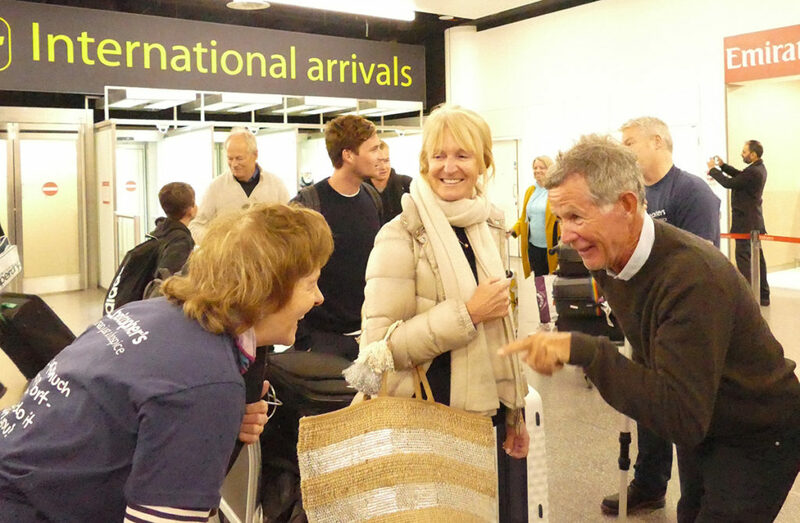 Surprise was evident on the faces of our stupendous seafarers, who were clearly not expecting such a raucous welcome at Gatwick airport. 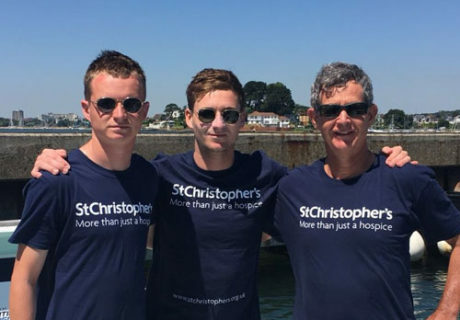 The Traffords have raised almost £200k in their world record breaking row across the Atlantic Ocean and we are so grateful for all their hard work.